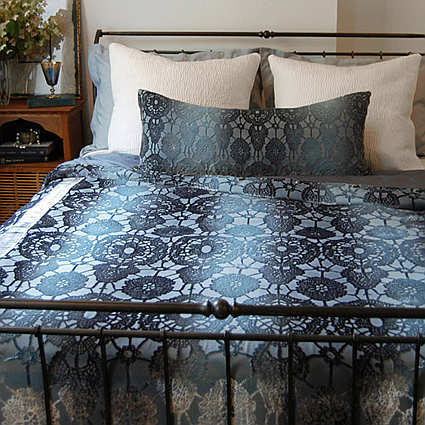 Lace Velvet bedding from Kevin O’Brien in dusk blue, shown with Hammered quilted silk bedding in white, and Lace Velvet boudoir pillow in dusk. 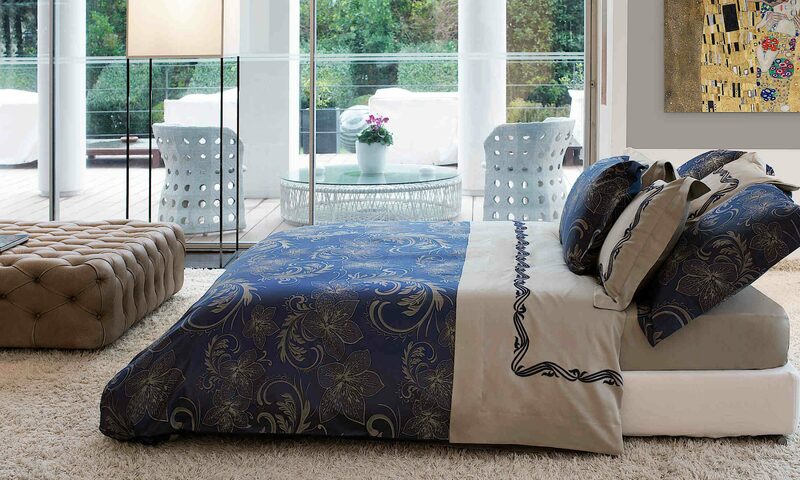 This exquisite bedding collection includes duvet, shams, decorative pillows, and silk dupioni bed skirt. Available in 6 colors. Beautifully embroidered pillows from Kevin O’Brien Studios. The Baroque decorative pillow is available in three color choices. Feather/down insert included.